This internet cable features a twisted pair with a RJ45 connector to connect your devices to your network without the presence of WiFi or a wireless connection. Worry less about signal loss and spend more time doing the things you love with a fast, reliable internet connection. Features higher attenuation and lower resistance than WiFi. This LAN Cable will have less signal loss which will allow your internet to run smoother for a more rewarding experience. Install your POE security cameras with ease by simply hooking it up to your network with an Ethernet cord. 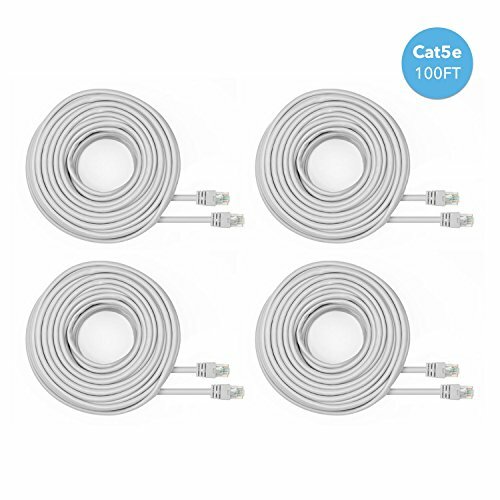 Connect your Smart TV, PS4, Xbox, router, computers and laptops to your internet network with this 100ft Ethernet cable.